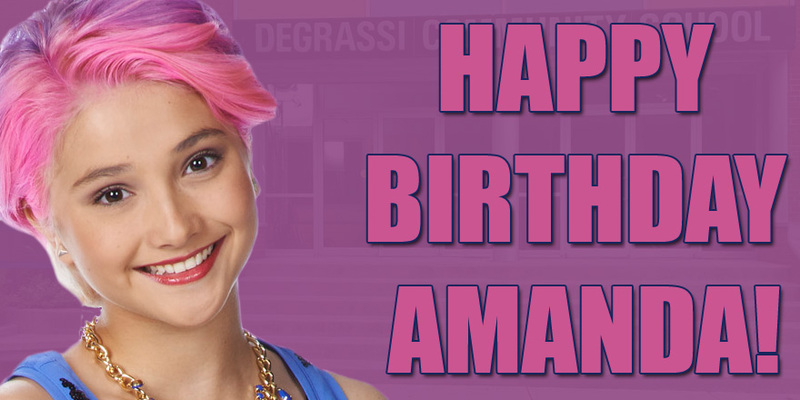 [10/21/15] Yeah it might be #BackToTheFuture Day and Kim Kardashian’s birthday, but over here we’re celebrating Amanda Day! Here’s a big shoutout to Amanda for playing the most entertaining character headed into Next Class. No one delivers Degrassi one-liners and makes adorable facial expressions like this girl. I’ve referred to Lola as the Cat Valentine of Degrassi, but by the end of season 14 we saw there was much more to her than being the “airhead” friend (giving me a chance to once again plug this amazing Lola breakdown). Head over to Twitter and wish her a Happy Birthday! You have to love yourself and everyone around you before its too late. Dont waste away being unhappy over trivial things.